Off to Hyderabad for ICANN 57. What's on the Menu? Off to Hyderabad for ICANN 57. What’s on the Menu? 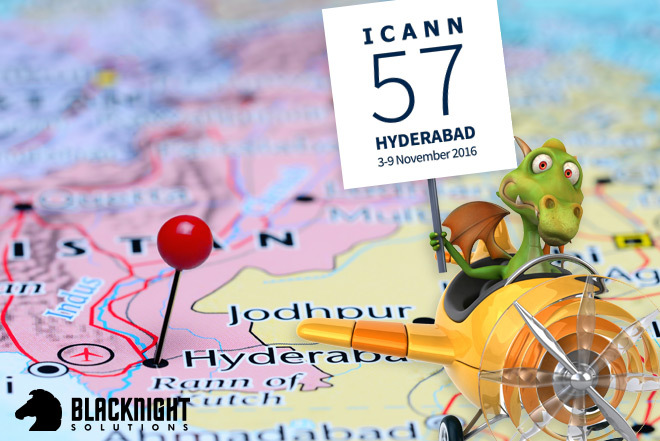 I’ll be heading to Hyderabad, India on Tuesday for the ICANN meeting which is being held there. As usual the meeting will be very busy on the policy front, but I’ll also be meeting with several of our domain registry partners and others over the course of the 10 day trip. This is the first time ICANN has held a meeting since the IANA transition on October 1st so, while there is still work ongoing related to ICANN’s transparency and accountability, there will be less focus on the IANA transition. So what is on the menu this time round? As usual there is a LOT of policy work. While some of it might not be *that* exciting, there are several themes under discussion that will have a direct and tangible impact on both us and our clients. The summary below is far from exhaustive and if you want to follow the discussions more closely you can do so via the ICANN site where there are links to audio and video streams and background materials. Next Generation Registration Directory Service, which is an attempt to design policies for a replacement to the current WHOIS. Proxy and Privacy Services Accreditation. This was a very contentious policy discussion that lasted a long time but is now moving to implementation. It’ll impact how whois privacy and whois proxy services are offered. TLDR: they aren’t going to be banned or forbidden, but there will be rules and policies around how they are offered. Launch of the “whois review”. ICANN are obliged to conduct reviews of several key policies every few years, though the timing of this is a little contentious. New gTLD auction proceeds. ICANN collected a very substantial amount of money when multiple applicants for new top level domains ended up resolving contention sets at ICANN auctions. Now ICANN has to decide what to do with all the money. Some people would like to see that money fed back to the other new TLD applicants, while others would like to see ICANN use the money for “the greater good”. Content regulation. This has been a topic for some time and is unlikely to be resolved anytime soon. Should ICANN, its registries and registrars be involved in “content regulation”, ie. deciding what type of content can be put on domain names? ICANN’s remit is quite narrow, so it’s a very contentious topic. Rights holders from the content industry (think Hollywood studios and record labels) would like to see ICANN take a more active role. It’s a complex issue as it runs into issues around legality, jurisdiction, freedom of speech and much much more. Domain Transfers. There is an upcoming change to the policies around this which we are following closely. Review of Rights Protection Mechanisms in gTLDs. While that might not sound too exciting it has a very real impact on both us and our clients. At the moment all gTLD registrations are subject to the UDRP and any new TLDs are also subject to the URS. The URS is a quicker, cheaper and faster way to get infringing domains killed off. But both the UDRP and URS, as well as things like the trademark clearing house are subject to review. It’s something that we as a registrar need to keep a close eye on, as it’ll impact how we sell domain names to our clients. Subsequent rounds for new TLDs. While there are now over 1000 top level domain name extensions to choose from there is still an appetite for more. The current policy work is looking at what needs to happen in order for there to be more. In some respects it’s like a review of what happened this time round with a view to making improvements for a next round. While some people may not be in any hurry to see even more top level domains being launched it’s important for us to know what changes are being considered. Anti-abuse. This comes up quite a bit. In light of the recent high profile DDOS attacks including the one against Dyn this will be getting more attention than previously. Several governments have already expressed concern about how “fragile” the DNS is and will be considering measures to reduce risk. From an industry perspective government involvement would probably not be welcome, so it’ll be interesting to see how this one pans out over the next while. It’s be a busy few days! Also, while I am no longer Chair of the Registrar Stakeholder Group, I will be taking my seat on the GNSO Council during this meeting. The GNSO Council’s role is to manage policy development within ICANN, so it’s an interesting position to hold and I am honoured to have been elected to serve by the other registrars. I’ll try to post an update on the meeting’s progress when I get back.